Mayor Nutter wants to treat the city's weight and wallet problems in his 2010-11 budget with the same remedy: the nation's highest tax on all sweetened beverages including soda, energy drinks, ice tea, even chocolate milk. Nutter's plan would put Philadelphia at the front of the movement to tax sweet drinks, an effort that the beverage industry already opposes and that could encounter resistance in City Council. The tax rate would be 2 cents per ounce, 40 cents on a 20-ounce bottle of soda. The levy would cover fountain-drink syrups and powders, based on the number of liquid ounces they produce. Diet drinks without added sugar and baby formula would be excluded. City officials said they could raise $77 million a year. 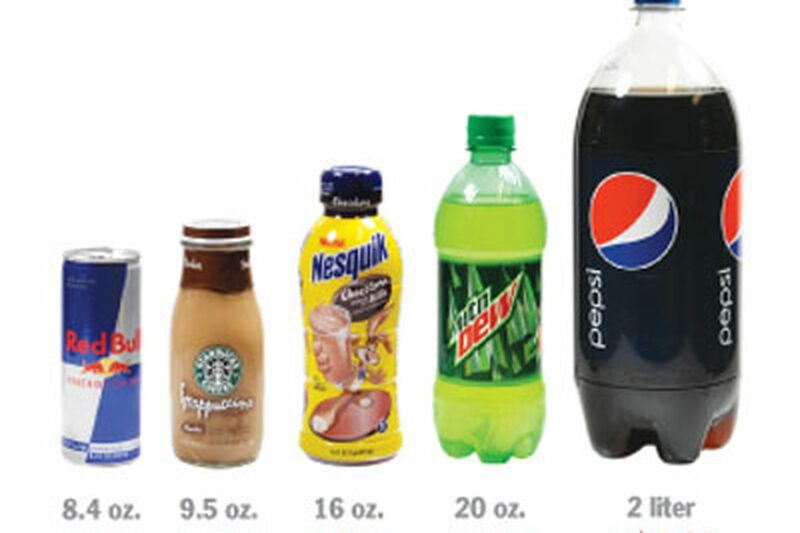 Health Commissioner Donald F. Schwarz estimated that a typical city resident drinks a half-liter of sweet beverages a day. Nutter gave the tax a name, Healthy Philadelphia Initiative, but it's clear the city's first priority is to raise money. Of the proposed added revenue, $57 million would go to the general fund. But Schwarz said $20 million annually would go to new programs fostering healthy eating and exercise, and he made it clear that he hoped to change habits. "For the average individual in town, if this is passed on, we believe that we can make them healthier simply though substitution for healthier beverages," Schwarz said. Schwarz, a pediatrician, rolled out statistics yesterday for reporters: Half of Philadelphia's children are overweight or obese, and soft-drink consumption is rising while milk consumption is falling. Philadelphia is not the first to propose such a tax. New York, Massachusetts, and California are among seven states considering levies on sugar-sweetened drinks. But Nutter's proposal would double New York's and dwarf the 3 percent soft-drink tax in Chicago, the only major city with such a tax. Chicago's tax, for instance, adds 4 cents to a 20-ounce Coke priced at $1.29. The city taxes soda, diet drinks, sports drinks, sweet tea, and all drinks containing natural or artificial sweeteners. The Philadelphia proposal is 32 times Pennsylvania's state beer tax, a penny per pint. A drink tax was briefly considered by the House Ways and Means Committee as a way to pay for a health-care overhaul last year. The mammoth soft-drink lobby, led by the American Beverage Association, Coca-Cola, and PepsiCo, helped quash the idea, boosting their spending on lobbying from $4.7 million in 2008 to $40.4 million in 2009, according to the Center for Responsive Politics. The local campaign against the Philadelphia proposal surfaced yesterday with an alliance between the Pennsylvania Beverage Association and the Teamsters. "Philadelphians already pay the highest sales tax in the state, and this would increase the cost of the beverages they enjoy by as much as a staggering 100 percent," Tony Crisci, lobbyist for the Pennsylvania Beverage Association, said in a statement timed to coincide with Nutter's release of budget details. Crisci, in a phone interview, estimated the number of sweet-drinks jobs in the city at 2,000, including 1,000 in the Coke and Pepsi bottling plants in North Philadelphia and Northeast Philadelphia. "Clearly, if there's a reduction in sales there's going to be a reduction in production and a reduction in jobs," he said. "We don't believe the way to solve obesity is to tax things." Danny Grace, secretary-treasurer of Teamsters Local 830, was quoted in the news release saying, "Philadelphia can't afford to bleed any more middle-class jobs," particularly in an industry that he said had added jobs during the recession. Kelly D. Brownell, director of the Rudd Center for Food Policy and Obesity at Yale University, disagreed with the pronouncements of Crisci and Grace. Brownell has been one of the country's strongest advocates for a sugary-drink tax to reduce the intake of "empty" calories devoid of nutrition. Brownell said drinkers of sweet beverages would simply choose a diet drink, water, milk, or other drink, which would still require bottlers, drivers, and corner stores. In a paper published in the New England Journal of Medicine last year, Brownell and six other researchers and doctors recommended a 1-cent-per-ounce tax. "We figured that would be more politically feasible . . . but, that said, a higher tax would accomplish a higher goal," Brownell said in an interview. He rejected the idea that reducing sweet-drink consumption would not have an impact on obesity. "No one thing you or I could conjure up will solve the problem all by itself. That doesn't mean it wouldn't be helpful," Brownell said. "I salute the mayor and the city and Health Department for taking the lead." At Temple University's Center for Obesity Research and Education, director Gary Foster has been leading the study of childhood obesity and nutrition and their connection to the corner store. In a study released in the fall, Foster found that Philadelphia children who go to a corner store spend $1.07 and walk out with 360 calories, most from sugary drinks, chips, and candy. "If we could change what kids eat by 100 calories a day . . . those kind of small changes are whopping if that happens five, six, seven times a week," Foster said. Still, it would be a tough decision for some Council members, particularly those whose districts include businesses bound to oppose it. Councilwoman Maria Quiñones Sánchez, who married into a family of retailers, represents a district filled with bodegas, and Coca-Cola has its main bottling plant at 725 E. Erie Ave.
She questioned how the city was going to make sure that store owners passed the sweet-drink tax on to consumers of a specific drink rather than raise prices across the board, even on healthy drinks. Health Commissioner Schwarz said the city would promote "the importance of passing this on to consumers." The tax would be collected along with the city's gross-receipts tax at the end of the year as a business-privilege tax. City officials said it would not be a sales tax and would not require state authorization. "I'm concerned for those businesses where soda products are a large percentage of their businesses," said Sánchez, who said she would meet with bodega representatives. Councilwoman Blondell Reynolds Brown, a champion of public-health initiatives, said that, in lieu of raising other taxes or cutting services, "we as legislators have a responsibility to give this proposal - as unattractive as it is to create a new tax - strong consideration."